We love being in touch with our Kohut family. After camp is over, we enjoy sharing feedback and memories of the summer. Each of our camper families will receive a post-camp mailing with various pieces, including a copy of their child’s schedule and trip destinations, certificate(s) of achievement, and re-enrollment information. Daily Summer Update posts will remain online to help re-live the camp experience. After a wonderful camp season, we are so excited to start planning for the next one. We have an 80-90% return rate, so we recommend returning families re-enroll before Oct 1st to guarantee a spot. Login to your online family account to re-enroll. If you need any assistance with the re-enrollment process, please contact <LINK> us. 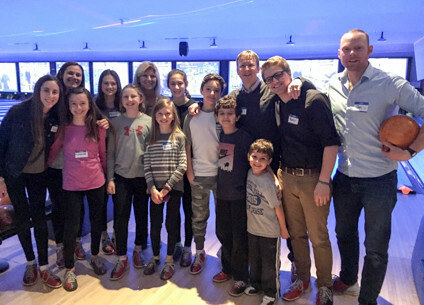 Over the course of the “off season,” members of the Kohut Winter Team travel to various cities across the country and abroad to give current campers, their families, and alumni the opportunity to get together. Details are sent out via printed invitations, emails, social media, and our newsletter The Kohut Kronikle. Kamp Kohut’s annual Spring Picnics are held in the Boston, New York City, and Washington, D.C., areas to give campers the opportunity to reconnect before the summer season begins. It is also a fantastic opportunity to catch up with the year-round Kohut Team and make new campers feel welcome. Craft projects, games, and lunch are all part of the fun. Family members are welcome to attend. Campers who age out at the end of the summer become part of our esteemed Alumni group. Once part of the Kohut family, always part of the Kohut family! We look forward to staying connected. Please visit our Alumni Page.